Food stylist Diana Yen likes having her Angora bunny under her desk while she works from home. Others who work from home like dogs dozing, cats curling, Spotify Shuffling All. A freelance journalist puts her lipstick on before she telephones her interviewee. An “outsourced” accountant wears heels to walk from kitchen to garden office, about five metres away. We all work in mysterious ways, many of us still in offices. But the modern multi-hyphenate career (lawyer-writer-lecturer) and the growth of the side-hustle (mum/manager/milliner) means clearing a space to work at home. No matter how tiny, stake it out and decorate it just as you fancy. 1. 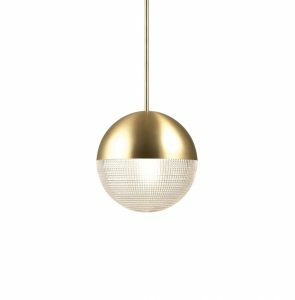 Lens Flair pendant light, €950; www.leebroomstore.com. 2. 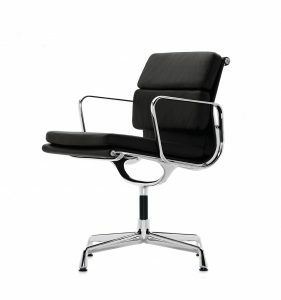 Black leather Eames EA 117 aluminium chair, Vitra, €2,710; www.nest.co.uk. 3. 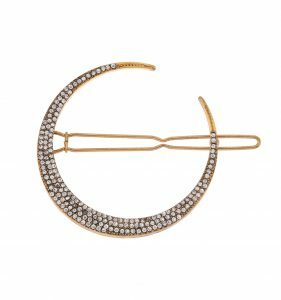 Moon hair slide, €12, at accessorize. 4. 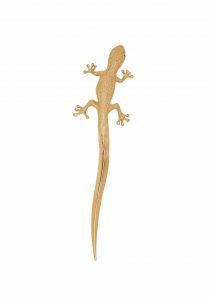 Gecko letter opener, €115; www.l-objet.com. 5. 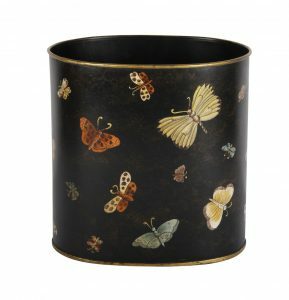 Painted wastepaper basket, from a selection, at The Drawing Room, Westbury Mall, Dublin 2. 6. 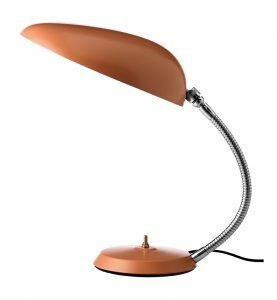 Vintage red table light, Gubi, €405, at Minima, Hanover Quay, Dublin 2. 7. 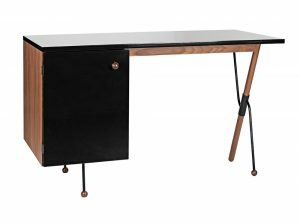 Grossman 62-Series walnut desk, gubi, €3,014; www.nest.co.uk. 8. 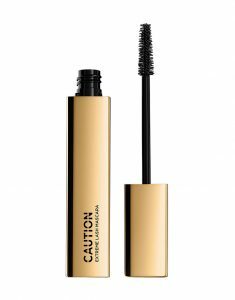 Caution Extreme Lash mascara, Hourglass, €30, at Arnotts; www.beauty.com. 9. 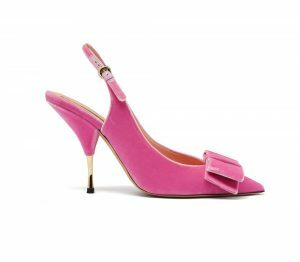 Pink velvet sling-backs, rochas, €595; www.matchesfashion.com. 10. 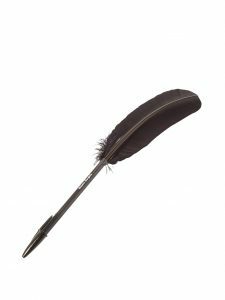 Black Goose Feather pen, Maison Margiela, €53; www.matchesfashion.com.